A new beauty pageant for the teens and kids will grace the stage to showcase beauty, wit, charm and love for Mother Earth. 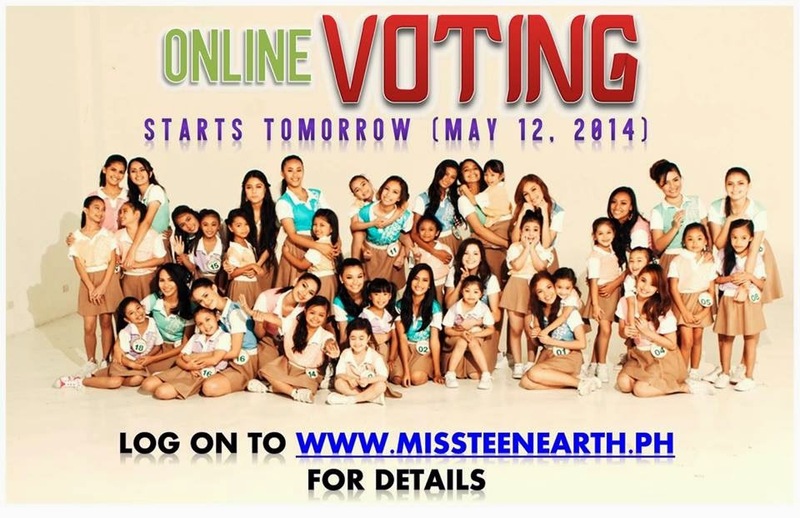 The search for Miss Teen Earth and Little Miss Earth Philippines has begun. 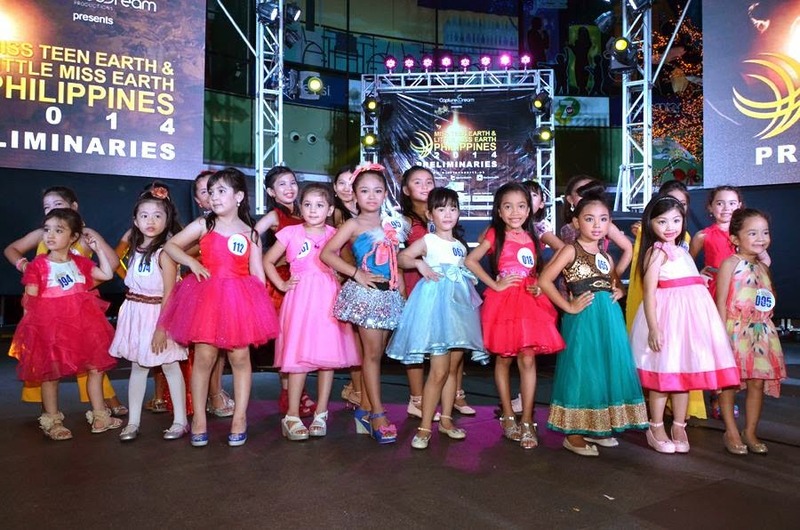 The Top 20 candidates for Miss Teen Earth Philippines (13-17 year olds) and the Top 20 candidates for Little Miss Earth Philippines (4-9 year olds) were announced on April 21-22, 2014 at the Manila Ocean Park where all the finalists coming from across the country were gathered. 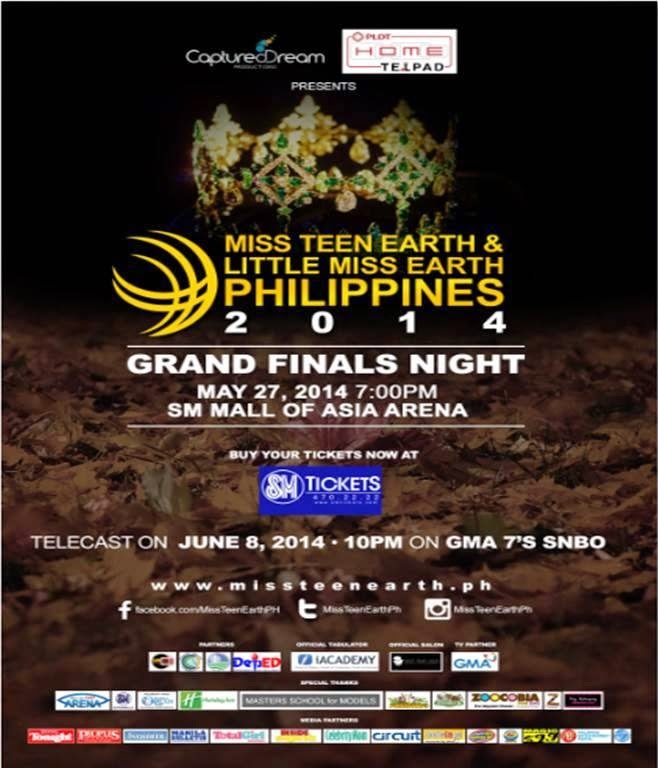 Captured Dream Entertainment Productions together with PLDT Home TELPAD present the MISS TEEN EARTH AND LITTLE MISS EARTH PHILIPPINES 2014 on May 27, 2014 at SM Mall of Asia ARENA with delayed telecast on June 8, 2014 at GMA 7's SNBO. Through the annual search that involves different activities, Miss Teen Earth Philippines and Little Miss Earth Philippines intends to reach out particularly to young Filipinas to inspire them that beauty is not only a physical attribute but also an act of love. In line with this, we mean to give awareness on environmental degradation, spread consciousness on different environmental issues, organize activities to help in the preservation of nature and be able to mobilize Filipinos to act with love and purpose in the interest of a cleaner, greener environment. For over two months, the organizers have scoured the archipelago in search of young beauties who embody the advocacies of conservation, preservation and protection. We looked beyond their physical attributes and chose girls who conveyed a genuine love for mother earth and who are capable of becoming 'Earth Champions' even at a young age. It all began in January 2014 where hundreds of hopefuls aged 4-9 and 13-17 flocked to auditions in Cagayan de Oro, Cebu, Davao, Iloilo, Naga, Baguio, Batangas, Pampanga and Manila. Nearly a thousand girls took part over the course of several weeks. Through a series of preliminary eliminations, the list was narrowed down to 20 teens and 20 little girls. Each teen candidate was assigned to one little girl to act as her "big sister" over the course of their journey. Miss Teen Earth Philippines & Little Miss Earth Philippines aims to unite Filipinos in the conservation, preservation, and the protection of our beloved Mother Earth by promoting beauty queens, talents, and earth ambassadors in local and national sorts in improving the environmental treasures of the Philippines. Miss Teen Earth Philippines & Little Miss Earth Philippines is the leading pageant that provides World Class Beauty Pageants for young women. With the heart of service, love, humility and the great values of non-violence, our advocacy being the preservation, conservation, and protection of our mother nature to help uplift the quality of life of each and every individual. 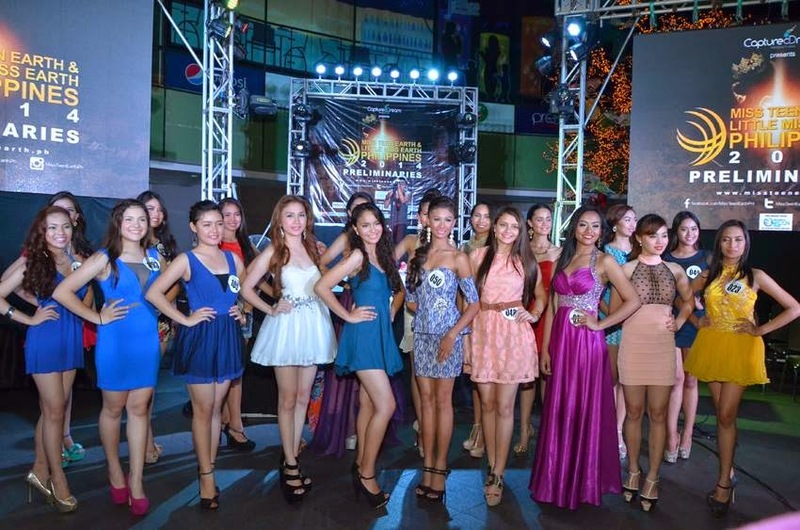 Last April 24, the finalists wowed everyone in their first photo shoot for the free pageant supplement, Roots. The girls donned the simple yet fashionable 'Jeepney' collection by stylist Jeffrey Rogador. Teen Actress and singer Julie Anne San Jose also had a photo shoot for the supplement's cover on the same day. After a fun-filled day they all returned to the Holiday Inn to get some beauty rest and to prepare for the next activities. On April 25, the girls were treated to a seminar facilitated by maker of Beauty Queens Jonas Gaffud who taught the girls the same tips he gave the likes of Venus Raj and Megan Young. Shamcey Supsup was also there to teach the candidates what they should do and practice. She also shared her experiences and her journey towards becoming a beauty queen. That afternoon, they went to the pageant's media partners. The little girls went to visit the office of Total Girl Magazine, where they got to meet the whole magazine team and got free issues of Total Girl. While the teens went to visit the office Celebrity Mom and Inside Showbiz at One Mega Group. The teens also visited the Philippine Daily Inquirer where they toured the editorial offices and the radio station. To end the day, TV Host and actor IC Mendoza, who is also the PR Head of the pageant, delivered an informative talk on how to handle interviews and the press. Special guests that night were respected Entertainment Journalists Dolly Anne Carvajal and Nelson Canlas. 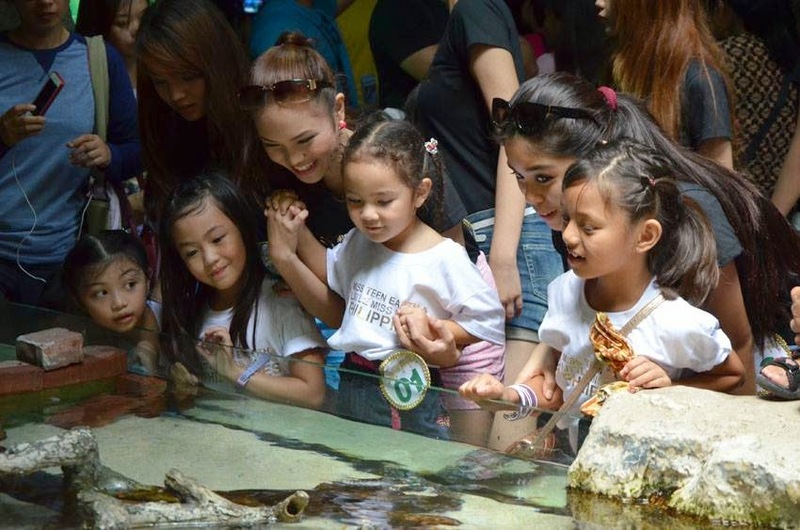 On April 26, they headed to Manila Ocean Park where they had fun interacting with marine life and had the opportunity to bond with one another. 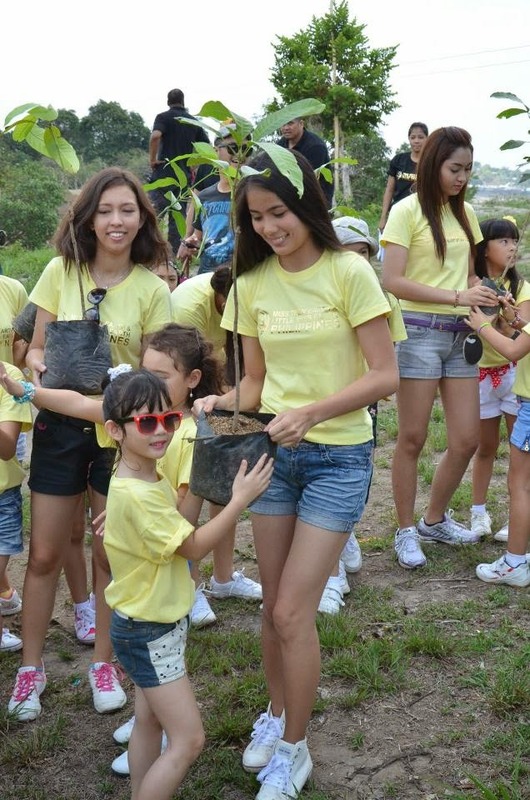 And in the afternoon, their mentor Shamcey Supsup accompanied them to the Tagaytay Residence Inn to do lots of fun activities including tree-planting. Next on the agenda was a trip to Zoocobia in Clark, Pampanga where they again pariticipated in a fun tree-planting activity. 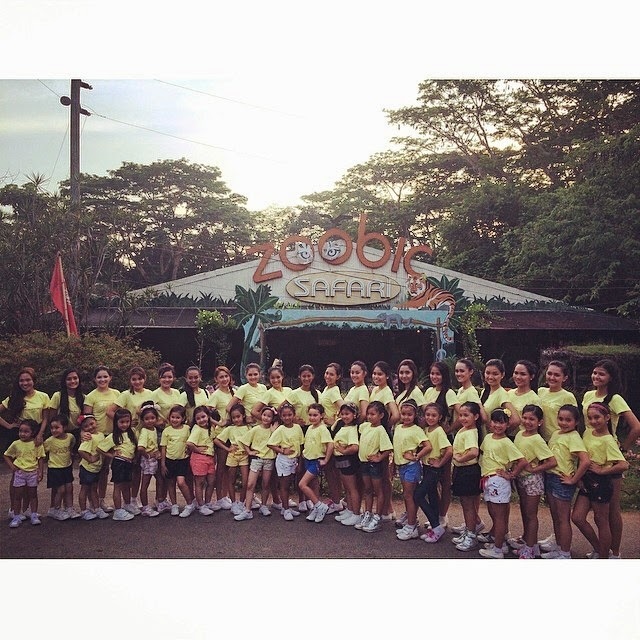 Then in the afternoon they visited Zoobic Safari in Subic where they were treated to an entertaining animal show, a thrilling lion and tiger safari and an exciting visit to the crocodile park. For their last activity, the candidates visited Gandica Cafe in Ortigas where they tried some archery lessons.